With shortfalls in government budgets—state, county or municipal—often come increased assessments and fees of all kinds. Even before the close of 2009, there were stories in the wind about increased activity by city auditors and what appeared to be redefinitions of existing tax codes and auditors re-writings of the rules of the game. Business owners who thought they had played by the rules and paid the appropriate taxes year in and year out were now being told they owed many thousands of dollars in back taxes. ALCC members have confirmed that not only have audits by municipalities increased, but also auditors are using new formulas and new interpretations of what is taxable in their calculations. Download ALCC's tax alert fact sheet. There are many costs associated with doing business and taxes are a major one. The second-hand desk in your office, a string trimmer, skid steer and computer software—in addition to all the materials installed on a site—are all taxable. What you don’t know can and will hurt you if taxes are ignored and penalties and interest accrue. Personal business property taxes are common in most Colorado counties. They are annual, ongoing taxes assessed on all equipment, office furniture, computers, etc., that a company owns. This tax is not the tax you pay at the time of purchase. It is an assessment on business property that the company owns and it is payable each and every year. Equipment tax is also assessed by counties on an annual basis and paid to the Department of Motor Vehicles. This tax applies to mobile equipment that is driveable, like skids and trenchers. Each time the tax is paid, you receive a current sticker that goes onto the equipment. Adams County is reportedly the only county that requires a tax when equipment registered in another county is brought into their county for a landscape job. The county assesses a pro-rated tax based on a formula and the time the equipment is used within the county. In this case, not factoring in the cost of equipment use tax on a bid can narrow the profit margin. Materials use tax applied by cities is in addition to state, RTD and special district taxes. Depending on the city, these taxes range from about 2.6% to 4.2 % on the cost of goods sold. In most cases, cities want to know the cost of the materials you buy outside their city and install within its limits and they expect contractors to report these costs and pay the applicable taxes. When you do work within any city, you are to obtain a use tax license and number from the city. Some cities charge an application fee for the license and some do not. Some cities will assess a use tax on 50% of the contract amount up front, so taxes are paid when you obtain the permit. Once the job is completed, you can go back to the city and complete a reconciliation form to determine either the additional amount of taxes due or the refund due to the contractor. In other cities, depending on the dollars involved, you will be required to file a report monthly, quarterly or annually and pay applicable use tax to the city in which you work. The cities send out the reports that must be completed and returned—even if you have not done work in the city during the reporting period. Many cities send auditors out to conduct annual audits to make sure the applicable taxes have been paid. Most cities require that when you do work within the city limits, you pay the designated city tax (again, usually around 2.6% to 4.2%) on the materials purchased and installed on the job. This can include irrigation products, plant materials, rock, etc. Many contractors have found that they get into a possible double taxation situation when they buy materials from a supplier and pay applicable city taxes based on where the supplier is located, but install the materials in another city that also lays claim to taxes. In other words, when you buy the materials in one city and take them to another, the city where the job site is located often expects to collect use tax. A few cities will recognize taxes paid to another city, but this is reportedly becoming less common. Avoiding double taxation on materials is an issue that faces many contractors because they buy in one city and install in another city. State law does protect against double taxation, but the burden of proof usually falls on the contractor. Applying for tax refunds from cities in order to avoid paying use taxes twice is a detailed and lengthy process. Refunds are possible, but take time. In the current tax climate, there are no clear-cut steps that apply to all municipalities and all situations. Contractors experienced with these issues recommend very accurate and detailed record-keeping procedures that clearly tie purchases to the jobs and provide good back-up information for audits. Consult your company’s CPA or accountant for advice that is relevant to your company and the work you do. Use tax also applies to materials purchased where no sales tax was charged—such as for purchases from out-of-state retailers. If you purchase materials from out-of-state and consequently pay no sales tax, you are responsible to pay the use tax to the city in which your business is based. • Contractor beware: Do not assume that suppliers are required to collect all the taxes you need to pay, especially when it comes to special assessment areas like RTD or the stadium tax districts. • Buyers--not suppliers--are responsible to remit ALL taxes due. You can't claim ignorance on taxes so find out all you need to know and get permits, file reports and pay taxes. Penalties can double the amount due--or more! • One contractor reported that last year when state tax auditors looked into his business, "We welcomed them in because we run a clean operation. But it was a horrible experience." At the end of the audit, he was stunned when dollars due ended up near six figures. • Here's how it works: A contractor buys rock from Lyons or trees from Loveland or sod from northern Weld County. None of these suppliers is required to collect RTD or stadium taxes--but YOU as the contractor are required to pay them if the materials go to job sites within the boundaries of these tax areas. • In case of an audit: You must produce the back-up receipts. If you don't, the auditors will assume taxes were NOT paid--even if they were--and they will be assessed. In this contractor's case, auditors randomly selected 20 percent of invoices they demanded to see. Some were lost and, indeed, the auditors assumed no taxes were paid--and taxes were assessed. • Negotiating a settlement: At the end of the process, auditors offered the contractor a deal that included a discount if the whole amount the auditors said was due was paid within five days. The company was also told it could dispute the assessment, which it did. But, the contractor cautions, "Our mistake was in NOT paying the discounted amount by the deadline and hoping for a reimbursement of the disputed amount later. By not paying up front, we lost the discount of about 15 percent." • Penalties and interest are nearly double the original tax - so what you don't know can really hurt you. • Be aware of special taxes (see below) and contact your CPA or accountant. Being unaware of these taxes and how they could potentially impact your business is too important to ignore. • The long arm of history: Auditors can go back to the last time you filed a state sales tax return to audit and assess everything turned in since. "In our case, they went back five years and we were pulling out old invoices from storage," says the contractor. Regional Transportation District (RTD) levies a sales tax of 1 percent in the counties of Denver, Boulder, Broomfield (except some areas immediately adjacent to I-25 and Highway 7 interchange and other areas in northeast Broomfield. Jefferson, Adams (west of Box Elder Creek), Arapahoe (roughly one mile east of Gun Club Road and south of Quincy including Arapahoe Park) and Douglas (northeast portion of Highlands Ranch). Scientific and Cultural Facilities District levies a sales tax of 0.1 percent to areas that are also subject to the RTD tax, plus the remainder of Adams and Arapahoe as well as all of Douglas County except the towns of Castle Rock and Larkspur. Football Stadium District levies a sales/use tax of 0.1 percent to all the areas that are subject to the RTD tax and additional portions of Douglas County and Park Meadows Mall. Municipal tax licenses: do you have what you need? 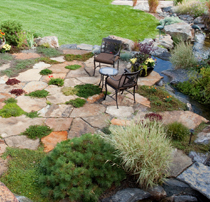 In Colorado, there is no statewide license required for landscape contractors. But it’s likely that depending on what you do, you are required to be licensed by the cities where you work and it usually depends on the work you are doing. Most cities require contractors carry a license specific to their business or trade and when you pull a permit to do a particular job, the city checks to see if you have the required license. A general “landscape license” is not a standard requirement for most cities. But to do specific work like irrigation installation may require a license. In Arvada for example, a license is required for irrigation installation. Denver requires a backflow installation license. Most of these licenses cost $50-75 per year. It’s common for a contractor to purchase the license only when doing work in the city. If you don’t do work in the city every year, you may not want to maintain the license. Some cities have other requirements you must meet in addition to paying for the license. Aurora requires contractors to pass a test prior to getting a license for landscape installation and irrigation installation. Castle Rock requires contractors participate in their Best Management Practices (BMP) training to obtain a license to do work in their city. Note: GreenCO BMP training does not meet their requirement. Contractors who do small residential work in a municipality are required to hold the required licenses. Commercial work is generally monitored more by the cities, but contractors who do smaller residential jobs should be aware of the licensing requirements in any city where they work. For maintenance work, many cities require a special license or registration for pruning or arboriculture. Some cities even require that you have a license from another city before you can have one in their city.